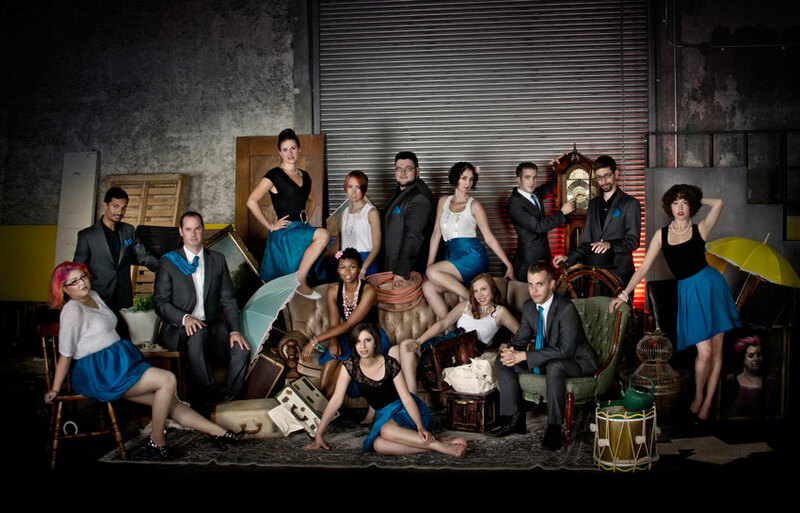 Toronto-based COUNTERMEASURE is the new sound in vocal music. This genre-defying A Cappella group is led by award-winning composer/arranger Aaron Jensen and features 14 of Canada’s top young vocal talent. They are immediately recognizable by their upbeat blend, sophisticated harmonies, and infectious energy. Performances of “Takin’ It Home”, “I’ve Got You Under My Skin”, “London Bells”, “Lovers in A Dangerous Time”, “Made to Measure”, “I Saw Her Standing There”, “Jump Back”, “Life is Fine”, “Best of My Love” and “Opera Somnia” demonstrate the group’s broad range of lively pop, jazz, contemporary, and original songs, sung in unique arrangements that are sometimes complex, but generally playful. With their fresh, innovative approach COUNTERMEASURE challenges expectations while breathing new life into the standard repertoire. Their inventive, contemporary sound has earned the group both critical and public acclaim. The ensemble was awarded one of two spots in the Best Jazz Album category from the Contemporary A Cappella Recording Awards for their debut CD, “14 Characters”. The album was also nominated for an Independent Music Award. The music video for “Opera Somnia” has been nominated in three categories in the A Cappella Video Awards (2017): Outstanding Video Editing, Best Electronic/Experimental Video, and Best Video by a CAL Group. Additionally, Countermeasure has featured in high-profile jazz festivals, concert series, and galas, as well as on national radio and television. They are a founding artist of SING! The Toronto Vocal Arts Festival, Canada’s premier a cappella festival and have shared the stage with a plethora of vocal and musical giants. They recently returned from their second U.S. tour, and in January, 2015 embarked on their first UK tour, finishing in London as the only Canadian group chosen to perform at the prestigious London A Cappella Festival.